Tibetans living in exile in India are demanding more rights and Indian citizenship after decades of living in the south Asian country. Tibetan exiles are demanding a right to vote and also contest elections in the country. The community also wants their spiritual leader Dalai Lama to speak in the national parliament. At present, the community members have the status of foreigners in India. Dharamsala, Dec 28 : Tibetan spiritual leader the Dalai Lama Monday urged the Chinese government to release writer Liu Xiaobo and other political prisoners. "I am saddened by the Chinese government sentencing Liu Xiaobo, a well-known Chinese writer, to an 11-year jail term," the Dalai Lama said, according to a statement. Dharamsala (Himachal Pradesh), Dec 10 : The Tibetan exiles here celebrated the 20th anniversary of conferment of Nobel Peace prize on their spiritual leader, Dalai Lama. A cultural programme was organised on this ocassion. The young Tibetan artists performed cultural dances, played traditional musical instruments and sang songs in front of the nuns, monks and students, who all appeared to be deeply involved and enjoyed watching the programme. The Buddhist temple was all lit up as hundreds of exiles assembled here to enjoy the celebrations. Dharamsala, Dec 9 : Tibetan spiritual leader the Dalai Lama Wednesday urged Australian MPs to visit Tibet. "His Holiness visited the Parliament House in Melbourne and ... urged Australian MPs to visit Tibet," said a post pasted on the official website of the Tibetan government-in-exile here. The Dalai Lama later told reporters that he was not worried because politicians had not met him. "My visit (is) non-political," the 74-year-old Nobel Peace laureate said. 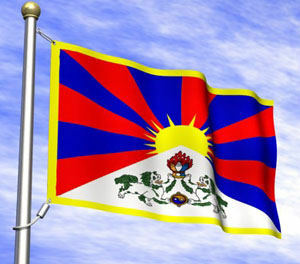 Auckland, Dec 5(ANI): Tibetan spiritual leader Dalai Lama’s visit to New Zealand has created ripples as a controversy has risen over the Tibetan flag flying briefly on poles outside Auckland''''s Langham Hotel. The Dalai Lama was holding talks with Labour leader Phil Goff in the 3500 dollars-a-night Royal Suite of the hotel. According to reports, the flag was quickly taken down after Langham authorities claimed that the hotel policy was that non-New Zealand flags should fly only on official Government-hosted visits. Taipei, Dec 4 : Tibet's exiled spiritual leader the Dalai Lama is confident that he can return to Tibet in this lifetime, and believes he will be reborn many times after his death, according to a book published Friday. In "The Oldest Laughter in the Himalaya", written by Taiwan film producer Liao Wen-yu, the Dalai Lama said that when the situation in China has changed and its leaders become more open- minded, he will be able to return to Tibet, the homeland that he had to flee in 1959. Liao wrote the book while shooting a documentary on the Dalai Lama to record his exile and his fight for the freedom of Tibetans. Dharamsala, Dec 2 : Tibetan spiritual leader the Dalai Lama Wednesday greeted the Tibetan Institute of Performing Arts (TIPA) for completing 50 years of existence. The TIPA is entrusted with the responsibility of preserving and promoting Tibet's unique tradition of performing arts. "On this occasion of our 50 years in exile, which coincides with the 50th anniversary of the establishment of TIPA, I would like to offer my greetings to all the members of this institute," the Dalai Lama said in his message from Australia. Dharamshala, Nov. 27 : Tibetan Prime Minister-in-exile Samdhong Rinpoche on Friday blamed China of emerging as a training ground for the militants. Beijing - Chinese President Hu Jintao has urged his US counterpart, Barack Obama, not to allow exiled Tibetan and Uighur leaders to conduct "anti-China separatist activities" in the United States, reports said on Wednesday. Vice Foreign Minister He Yafei said Hu told Obama in their formal talks on Wednesday that he hoped the United States would "forbid 'Tibet independence' and 'East Turkestan' forces from using US territory to cover their anti-China separatist activities." New Delhi, Nov 9 : Seven people, including two Tibetans, have been arrested for illegal trafficking of wild life articles into China and Tibet. Two tiger skins, two leopard skins, tiger bones and their body parts have been recovered from them, the Central Bureau of Investigation (CBI) said here Monday. Dharamsala, Nov 4 : The Tibetan government-in-exile Wednesday launched a cable network in this town to highlight its policies among the exiled community. Thubten Samphel, a spokesperson for the government-in-exile that is not recognised by any country, told IANS that "Prime Minister" Samdhong Rinpoche launched the network, Tibet TV. "This is the first non-commercial initiative of the government-in-exile to highlight its policies among the exiles, especially the youth," he said. New Delhi, Oct 29 : Praising India for taking good care of Tibetan refugees, two Nobel peace laureates Thursday appealed to the international community to pressure China to grant religious and cultural freedom to Tibetans. "Despite India's tightrope walk on the Tibetan issue, India must be commended for allowing Tibetan refugees and taking care of them," Jody Williams, who won the Nobel Peace Prize jointly with the International Campaign to Ban Landmines (ICBL) in 1997, said here. Washington - The US Congress presented the Dalai Lama with a human rights award on Tuesday as President Barack Obama faced criticism for putting off plans to meet with Tibet's spiritual leader. Nancy Pelosi, the speaker of the House of Representatives, attended the ceremony on Capitol Hill to honour the Dalai Lama, urging China to pursue a peaceful resolution over Tibet. "Unless we speak out for human rights in China and in Tibet, we lose all moral authority to talk about human rights anywhere in the world," Pelosi said. New York - Non-governmental organization Freedom House on Tuesday criticized US President Barack Obama for deferring to China by postponing a meeting with the Dalai Lama until after scheduled talks with Chinese leaders in Beijing in November. The Dalai Lama was in Washington on Monday to meet with US congressional leaders and attend events organized by Tibetan supporters. Freedom House said it was the first time since 1991 that the Tibetan Buddhist leader had not met the US president while he was in Washington. Washington - US President Barack Obama has decided to delay a meeting with the Dalai Lama until after a summit with Chinese President Hu Jintao in China next month. The Dalai Lama arrived in Washington on Monday for meetings with congressional leaders and other events, but will not hold a one-on- one meeting with Obama, a special envoy for the Dalai Lama, Lodi Gyaltsen Gyari, said. The Dalai Lama has agreed to sit down with Obama following his November trip to China and did not object to the White House decision to postpone the meeting with Tibet spiritual leader. New York - Tibet supporters on Thursday protested the lighting up of the landmark Empire State Building in red and yellow to mark China's 60th anniversary, calling it a "blatant approval" of Beijing's totalitarian government. The Empire State Building changes the lighting on its top floors several times a year to coincide with different holidays or for certain occasions. Red and yellow are the colours the Chinese communist flag. London, Oct. 1 : Politicians and supporters of Tibet have reacted with fury after red and yellow lights shone from the top of the Empire State Building in a tribute to communist China''s 60th anniversary. The Daily Express quoted protesters as saying that the move was "blatant approval" of totalitarianism and inappropriate for an icon in the land of the free. New Delhi, Oct 1 : More than 20 Tibetan activists were arrested when they attempted to jump the wall of the Chinese Embassy here Thursday, when China celebrates the 60th anniversary of its formation as a people's republic. "The 21 Tibetan men were arrested around 9.30 a. m. They were attempting to jump the wall of the embassy and were taken into custody," a senior police official told IANS. Those arrested are residents of India. Tibetan communities here plan a series of protests through 2009-2010 to commemorate 50 years since the first failed attempt to push the Chinese invaders out of their homeland. Sowa Rigpa or commonly knows as ‘Amchi’ ancient system of Tibetan medicine will soon be given legal status by the central government. Since ancient times this system has been used to cure people in Sikkim, Jammu & Kashmir, Ladakh, Arunachal Pradesh and other Himalayan belt of the population. The Indian Medicine Central Council (Amendment) Bill, 2009 for amending the Indian Medicine Central Council Act, 1970 was approved by Union government. Bratislava - Tibet's exiled spiritual leader, the Dalai Lama, received Wednesday a human rights award in a highlight of his three-day visit to Slovakia, local reports said. The Dalai Lama was honoured with the Jan Langos Prize, named after a Slovak anti-communist dissident and awarded by a Bratislava-based foundation carrying his name. The Jan Langos Foundation said on its web site that it awarded the 74-year-old Tibetan leader for his "life-long resistance against the oppressive regime in China."